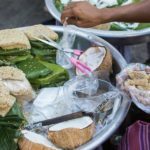 Burmese food guide — Delicious, cheap and unique food in Myanmar - Living + Nomads – Travel tips, Guides, News & Information! 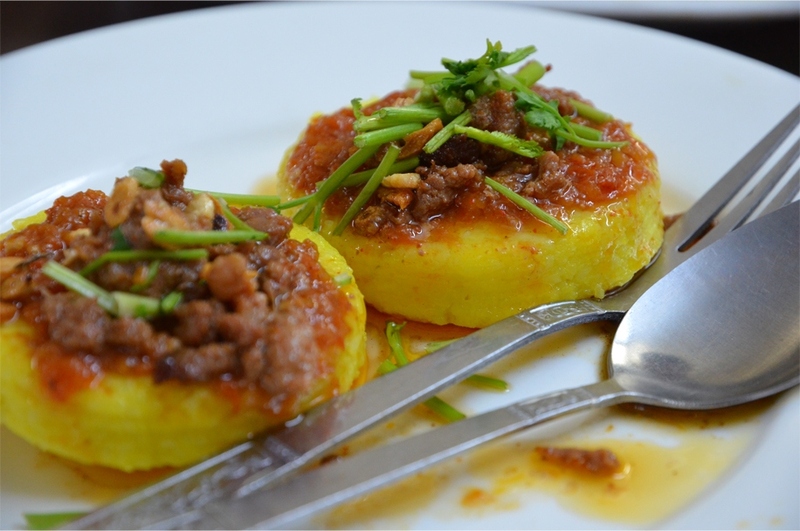 Burmese cuisine is slightly affected by Chinese and Indian’s cuisine, yet its rare traditional flavor is remained clearly. 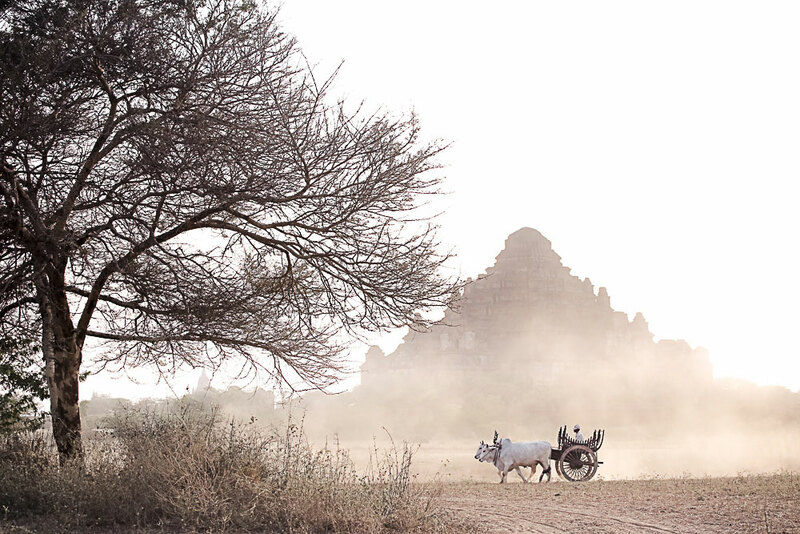 Like Kinh ethnic group in Vietnam, Shan is the largest ethnic group in terms of population in Myanmar. They have not only their unique and ancient culture and history but also their very featured cuisine. The representative of Shan’s traditional dishes that tourists could not give a miss travelling to Myanmar is Shan-style rice. 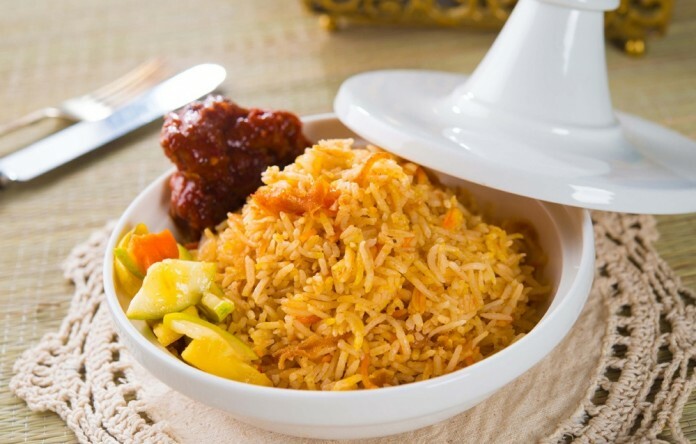 Shan-style rice is basically rice mixed with different ingredients in which, and served with spicy fried fish, roasted peanuts and some seasonal vegetables. Sometimes, fish could be replaced by chicken or simply topped with garlic oil, cloves and crispy pigskin. 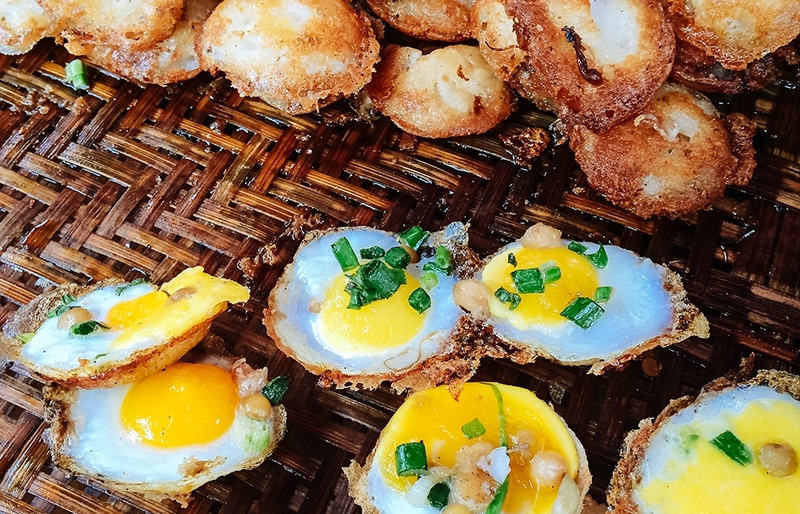 This dish is normally served with fried rice paper and spicy sauce. 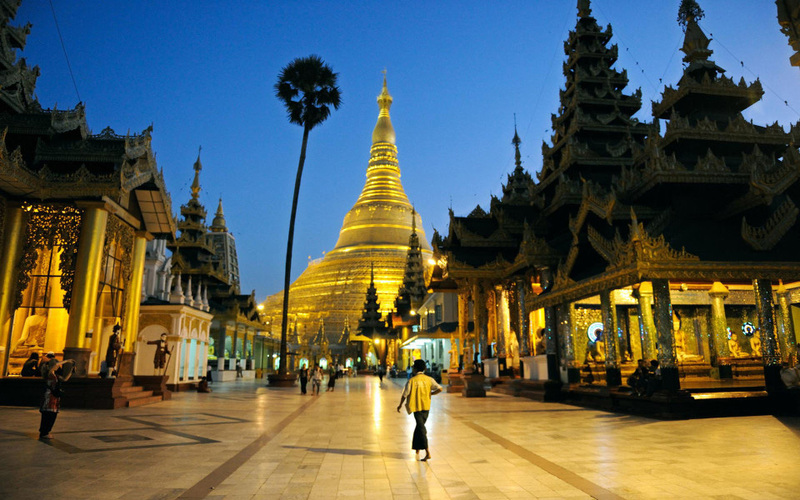 Referring to the delicious, typical, and famous food that tourists must try visiting Myanmar, the salads must be mentioned, especially tea leaf salad, and green tomato salad. 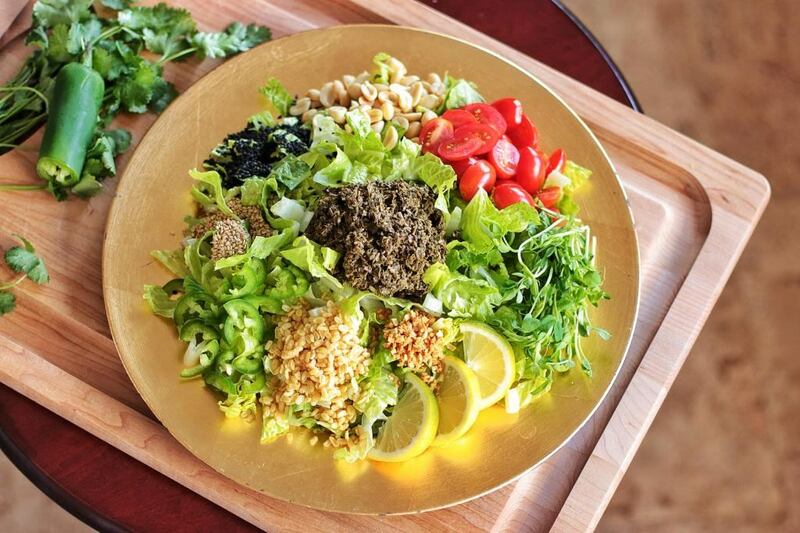 Any visitor coming to Myanmar has to once experience tea leaf salad that surprised them in an unexpected way as seeing the dish for the first time. Talking about salad, everybody will right away think about a snack with lots of different fruits and vegetables mixing together and having a distinctive green color. The tea leaf salad, on the other hand, has a rather special ochre color. 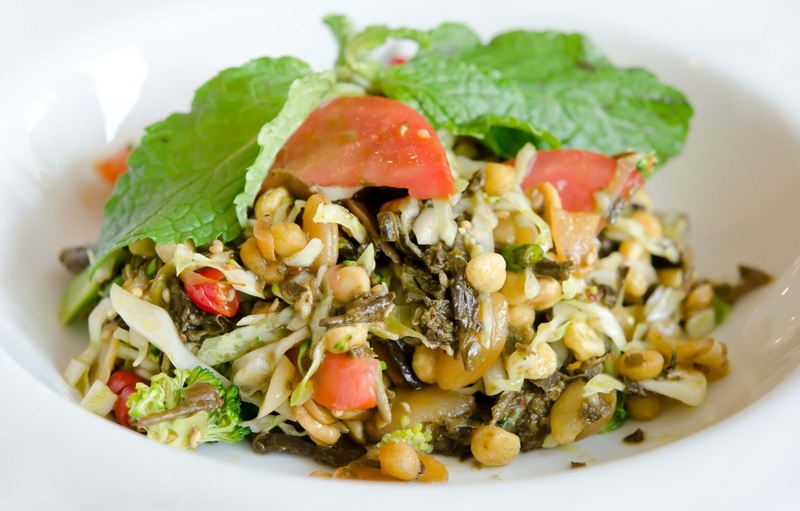 The salad is made from fermented tea leaves with the taste of slightly sour and bitter well mixed with chopped cabbage, cherry tomatoes, fried beans, and breaded roasted peanuts. A bit of garlic oil and chili should be added when eating for a better taste. 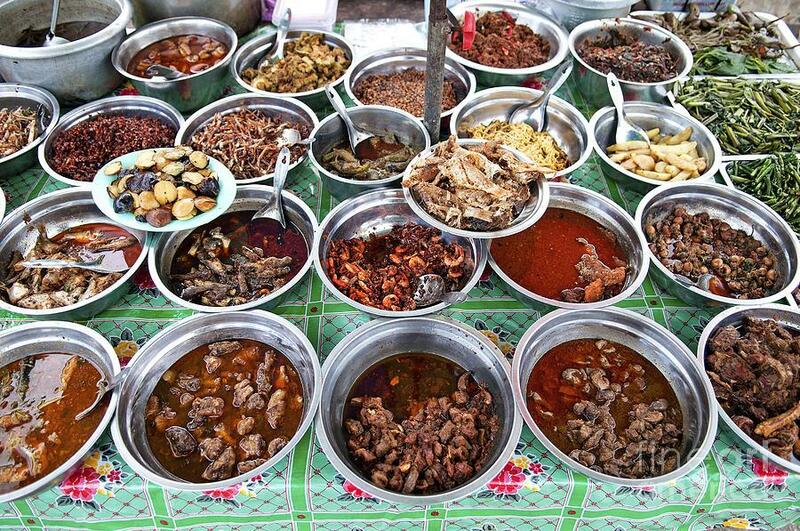 However, this popular Burmese dish is considered as a kind of stimulant that can cause drowsiness. Therefore, tourists should not eat too much of this dish. 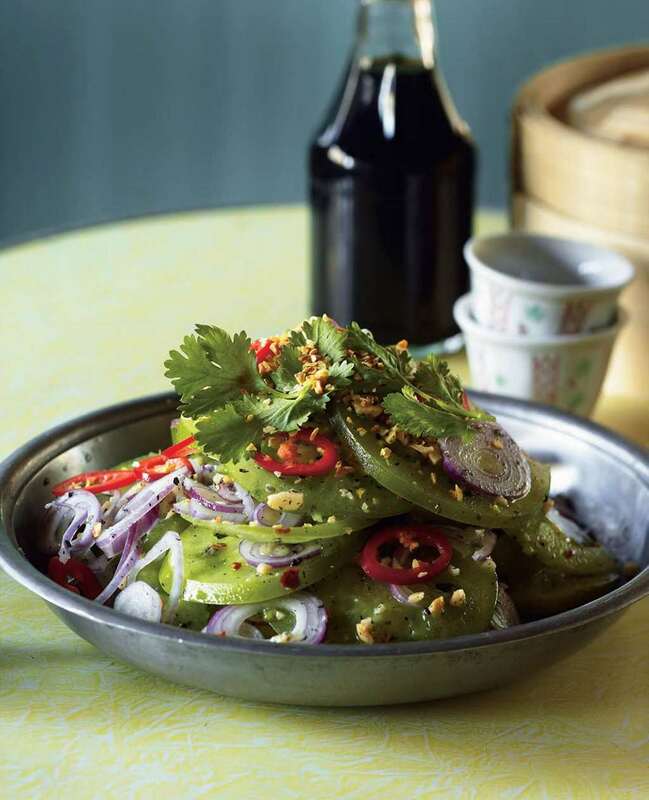 Aside from that, whenever tourists have a chance to visitin Myanmar, another must try dish is green tomato salad – a popular snack of the area where Inle Lake is located. 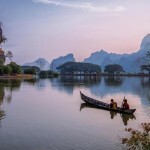 Curry is the signature dish with the traditional taste and smell of Burmese cuisine that could be found in any restaurants from budget to luxury in Myanmar. 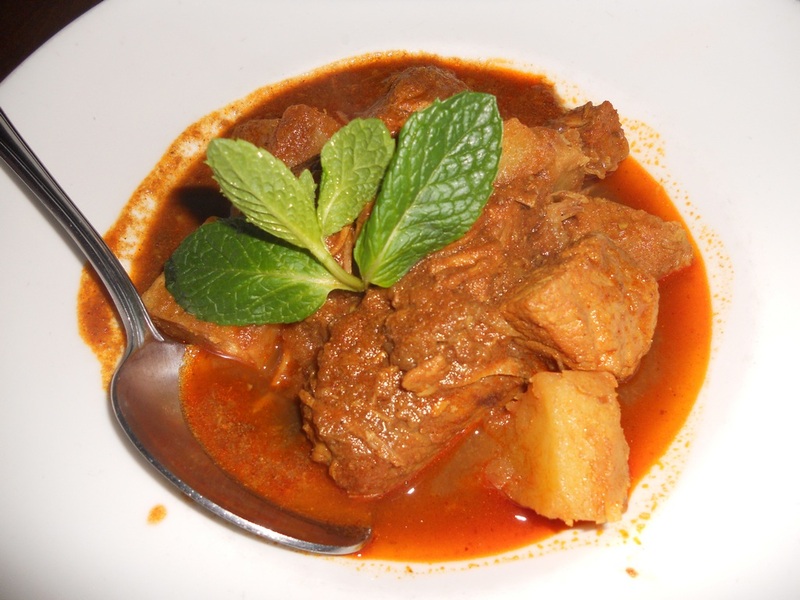 There are many different types of curries for tourists to choose based on the main ingredient used to cook the curry such as chicken, beef, pork, lamb, or seafood, etc. A portion of curry is usually served with rice, soup, fresh vegetables, mixed-leaves salad, sautéed vegetables, and other herbs. 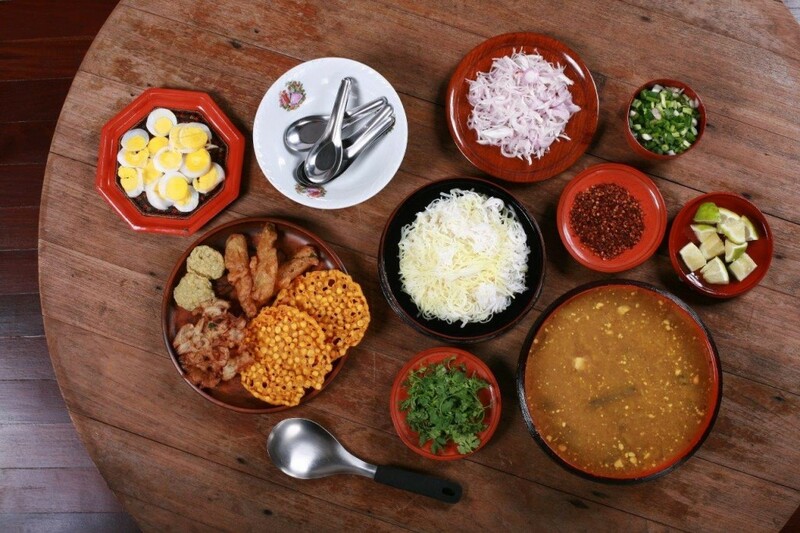 Tourists should try the curry cooked with onion and served with rice, tea leaf salad, and fried tofu. This dish is surely worth trying for its interesting taste. 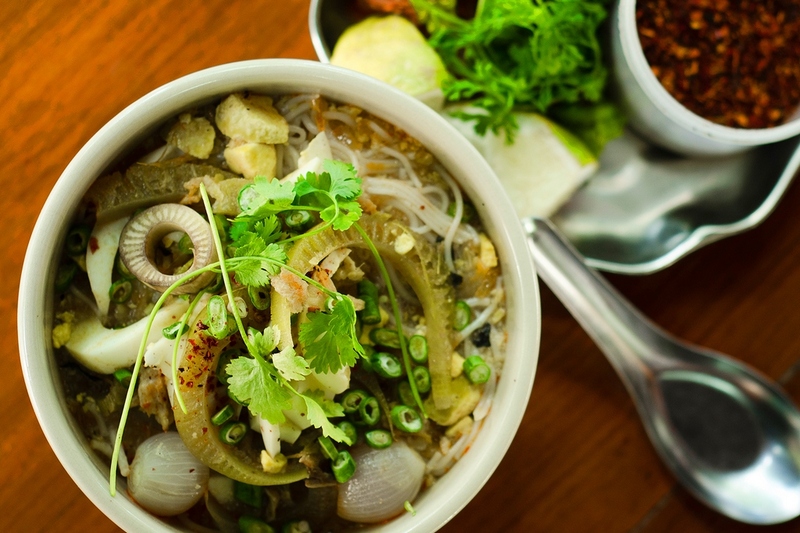 If tourists still hesitate, not knowing what to choose for breakfast in Myanmar; that it’s delicious, at the same time, give them a full stomach; then this traditional breakfast meal of Mohinga fish noddle is a perfect recommendation. 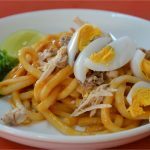 Tourists can easily find this noodle dish themselves anywhere in any market, street food cart, or restaurant in Myanmar, regardless of day and night. If there is Pho in Vietnam, Udon noodle in Japan, Laska in Malaysia, Mee in Singapore, etc. then there is a lot of kinds of noodles in Myanmar to enjoy as well. 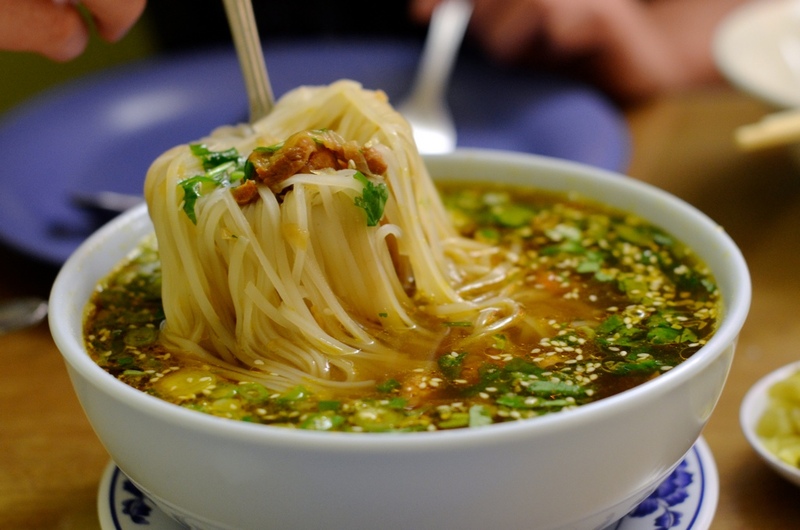 Shan tofu noodle is one of the traditional noodle dishes of Myanmar. 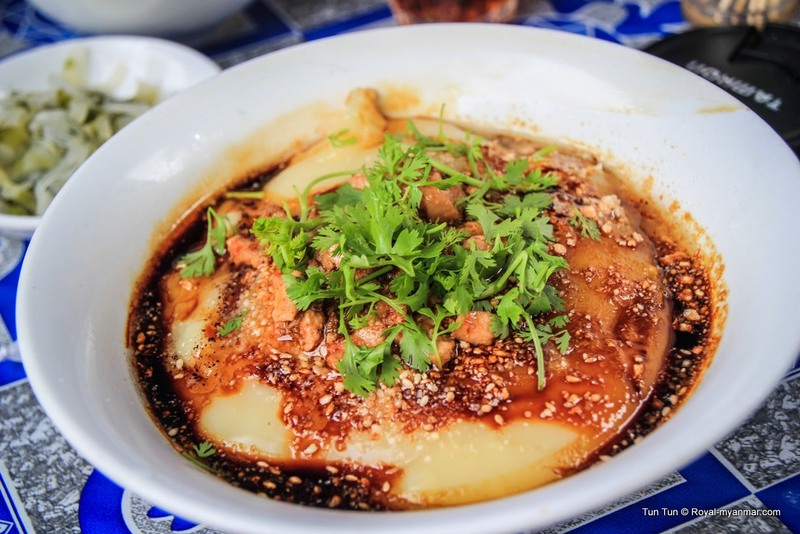 Its attraction comes from its beautiful yellow color noodles, slices of tofu made from lentils and green beans, in the natural sweetness and richness of the broth. 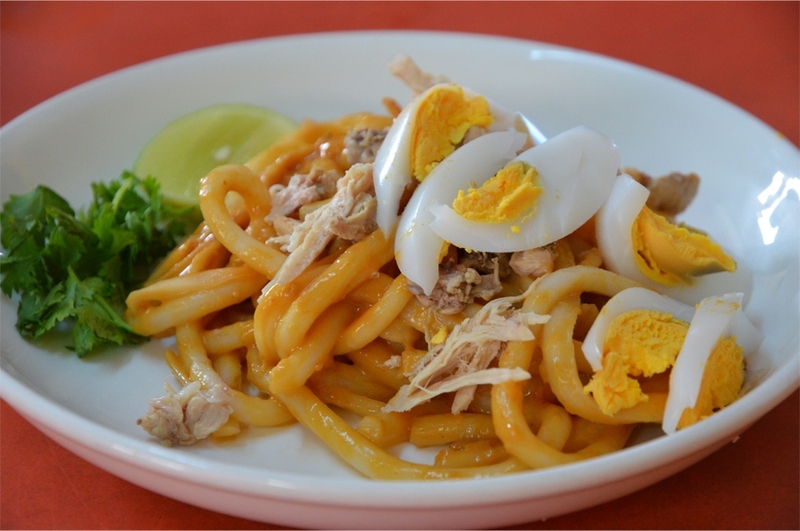 Nan Gyi Thoke ‘dry’ noodle is fascinating thanks to its thick round rice noodle mixed with vegetables stock or curry, served with slices of hard-boiled egg, sliced fish, shredded chicken, and slightly cooked bean sprouts. 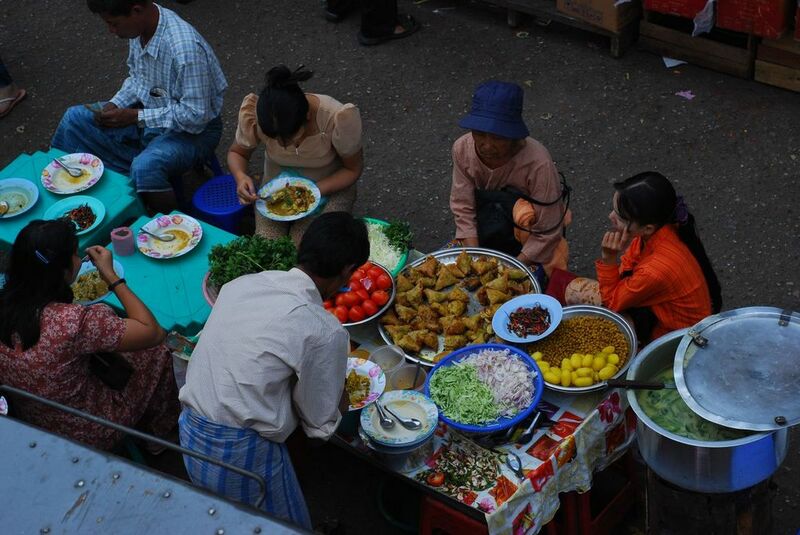 Certainly, tourists should also spend time experience the tofu noodle, the most original dish in Burmese cuisine. The way this noddle dish is cooked is totally different from its name. Tofu noodle is actually green bean congee served over rice noodles. 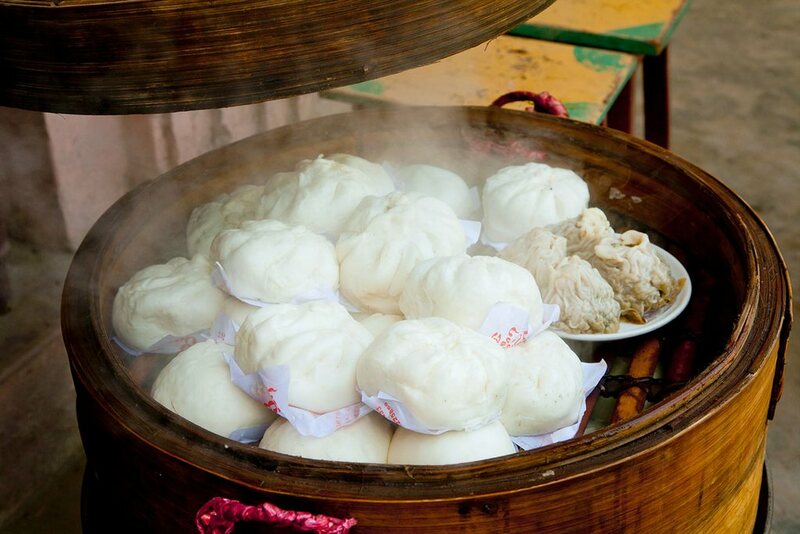 When eating, they will be mixed together with chunks of spicy marinated chicken or pork, pickled vegetables, chilies, etc. 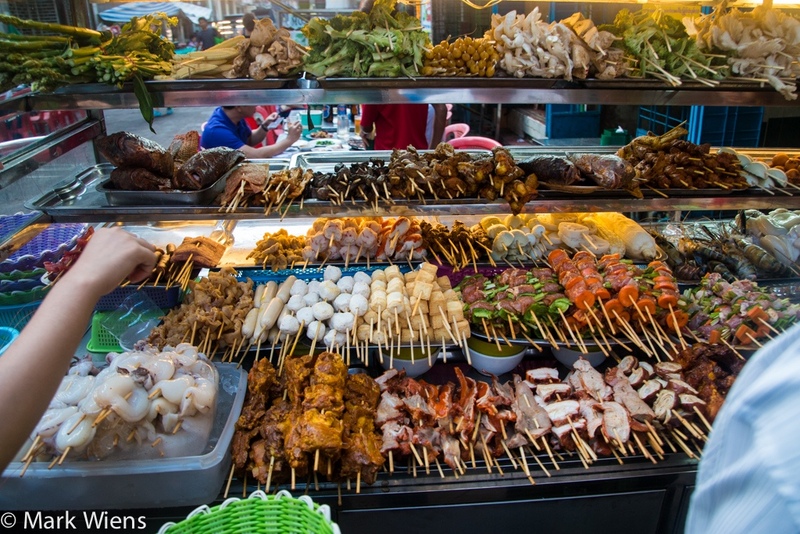 Yangon Market and Bagan Market are the address for tourists to enjoy Myanmar street food that they can find and enjoy any typical snack, and drink of the country. 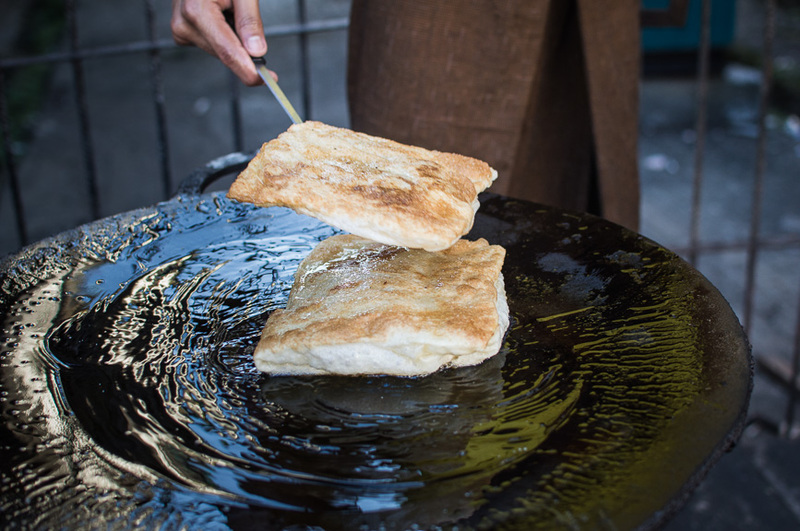 Burmese people are into snacks made of rice flour or glutinous rice flour and deep-fried in oil. 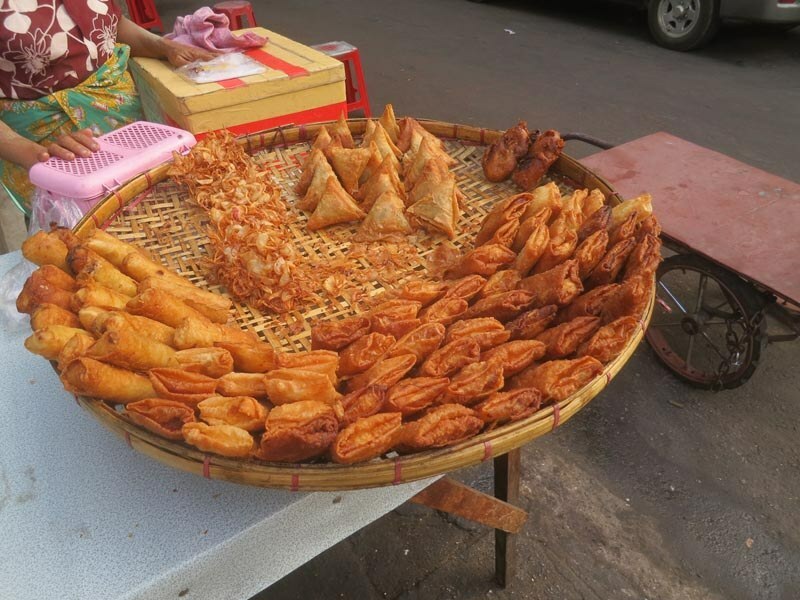 Therefore, all the typical and tasteful Burmese snacks are normally rather greasy and oily. 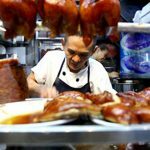 However, tourists can fix the problem by having them with sweet and sour sauce and yellow lemon juice – a popular drink so that they can “consume” more food. 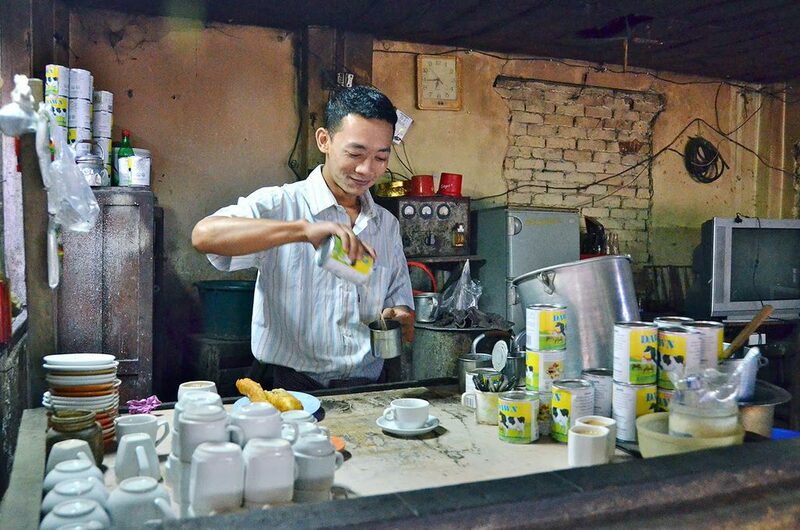 Other street foods that cannot be missed travelling to Myanmar can be listed such as ‘Tea Mix’ milk tea, green bean and red bean dumplings, spring rolls, donuts, fried bread, and a variety of fried food. 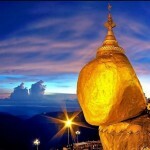 Take a tour to Myanmar, gradually enjoy and experience them all yourself!